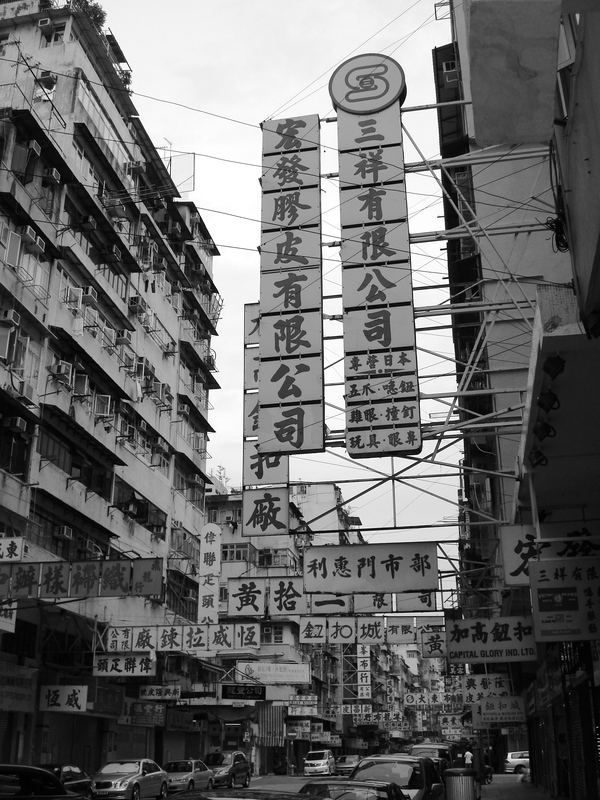 Since I began making jewellry about five months ago, I’ve been spending an inordinate amount of time in an old area of Hong Kong called Sham Shui Po. This area is famous for a number of things. One, it is home to the Golden Dragon Computer Centre where you can get any and everything for your IT needs. Two, it has a number of street markets that sell all kinds of wonderful antiques and knick knacks. Three, it is the absolute best place to buy beads and other arts and crafts supplies. Four, it’s recently been the site of some acid attacks where people have thrown bottles of acid off of the roof tops onto unsuspecting shoppers below (and there was even one case of someone throwing tiny kittens off the roofs too, which had to be put down humanely by the SPCA). But by far, the thing it is best known for, though few like to talk about it, are the cage homes, or partioned rooms, where the poorest of Hong Kong’s poor live. And it is quite, quite different to other, more affluent areas of Hong Kong. 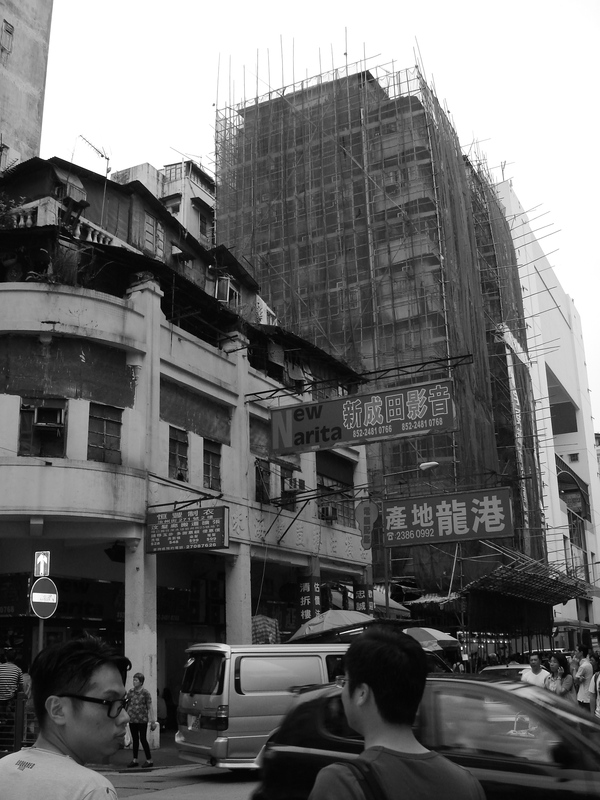 A lot of people say Sham Shui Po is afflicted with urban decay. Many of the buildings are getting close to 100 years old and many of them are low-income tenements. On top of some of the buildings you can see where squatters have set up small shacks on the roof since they can’t afford anything else. People stick bamboo out of the windows to hang up their laundry in the sun because they have no other option. It’s crowded, noisy, and at time, a bit dingy. 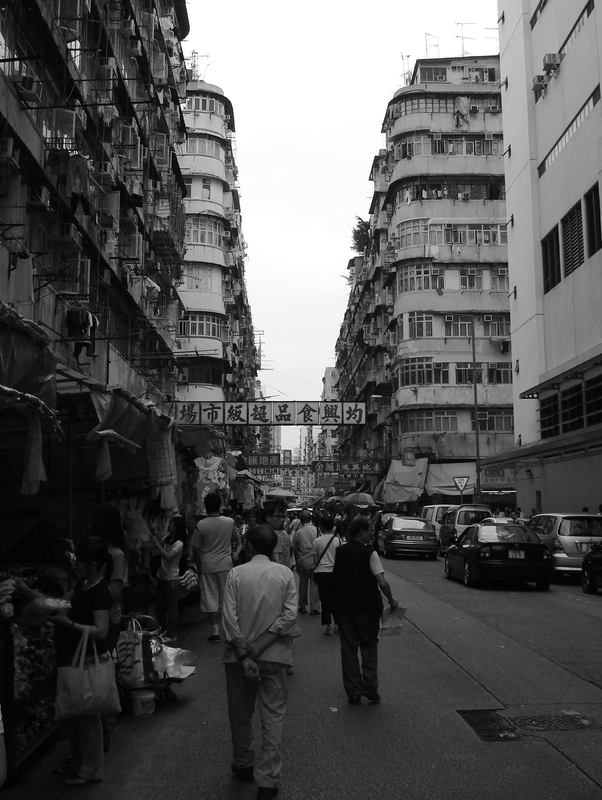 Make no mistake — Sham Shui Po is definitely one of the poorest areas of Hong Kong. Yet I have to admit, it has become one of my favourite places. I’ve found myself going there almost every or every other weekend to pick up jewellry supplies and, to be honest, just to walk around. When you live in a spanking new ultra modern 60-floor highrise and work in the super swanky Eurocentric business district downtown, going into ‘the ghetto’ is a nice break. It reminds you that you ARE in Hong Kong, and this is what it used to be like. The old architecture of the tenements with their curved facade… Little haberdasheries with dried fish, herbs, spices, seaweed, shark fins… Butcher stores on the corner washing blood down the drain while in the back someone silently slaughters a chicken (very taboo now in the city since bird flu struck)… Make no mistake: it is not a particularly pretty place, but when I go to Sham Shui Po, I feel like this is the real Hong Kong, the gritty, dirty side of it, far from The Peak, Lan Kwai Fong, Ocean Park and Causeway Bay. Anyway, in closing, here are some pictures of this area. I hope you will enjoy.